The world’s biggest, longest, and wildest birdwatching tournament in the U.S. is taking place April 15 – May 15, 2018. The 22nd Annual Great Texas Birding Classic Tournament is a fun way to enjoy the birds of Texas whether you’re a novice or a competitive birder. The City of The Colony and The Tribute Owners Association have partnered up to form teams to represent The Colony area during this unique event! What is the Birding Classic? Who can join the fun? All levels and ages of birders are welcome to join this Texas birdwatching event during the amazing spring migration. There’s a tournament category for everyone – from the beginning backyard birder to the competitive lister! Registration fees raise money for Texas bird and birding conservation project grants. 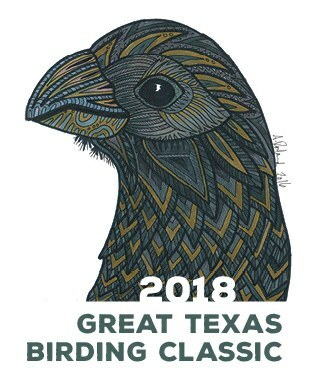 View the full description of the tournament at https://tpwd.texas.gov/events/great-texas-birding-classic. If you’re interested in forming or joining a team – or just would like more information – please contact Alison DeCarlucci, The Tribute Association Manager, at aldecarlucci@cmamanagement.com by Friday, March 9th. The Tribute developer will sponsor teams/registration fees, and the City will provide team support with birding specialists from the Parks & Recreation Department. A group meeting will be scheduled shortly after the March 9th deadline to determine teams and entry categories.